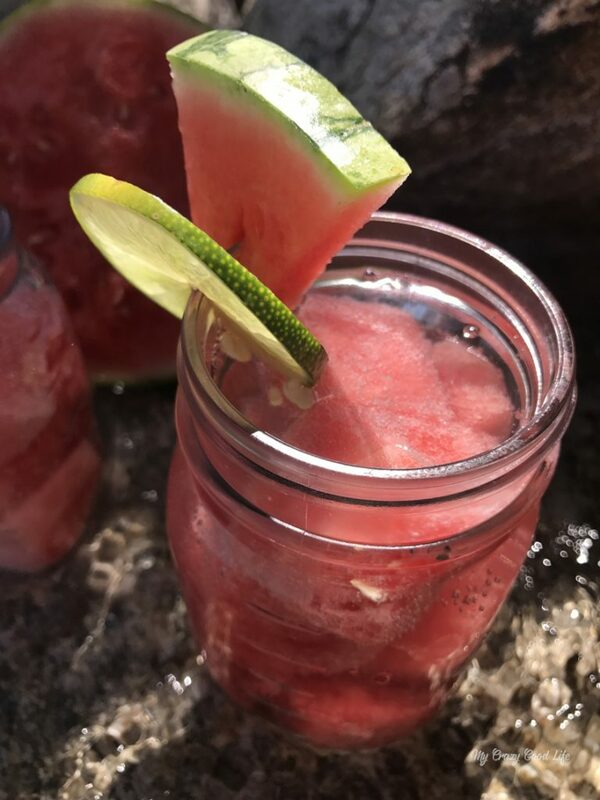 A 100 calorie watermelon margarita is crisp, refreshing, and easy to make. It’s great after a long day, also perfect for those poolside afternoons and more! 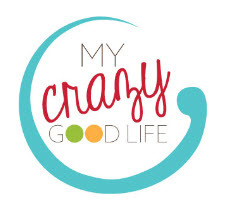 I love making cocktails, especially margaritas, but some of the mixes can contain TONS of unnecessary sugar and calories. So I went on the hunt and I found a fun way to lighten up some of these tasty summer recipes. Flavored margaritas are perfect for the summer but they are so tasty that we end up making them year round. 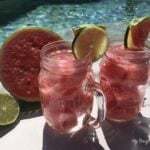 This recipe is very light and refreshing! I love making them in batches for parties or just a single one for myself. 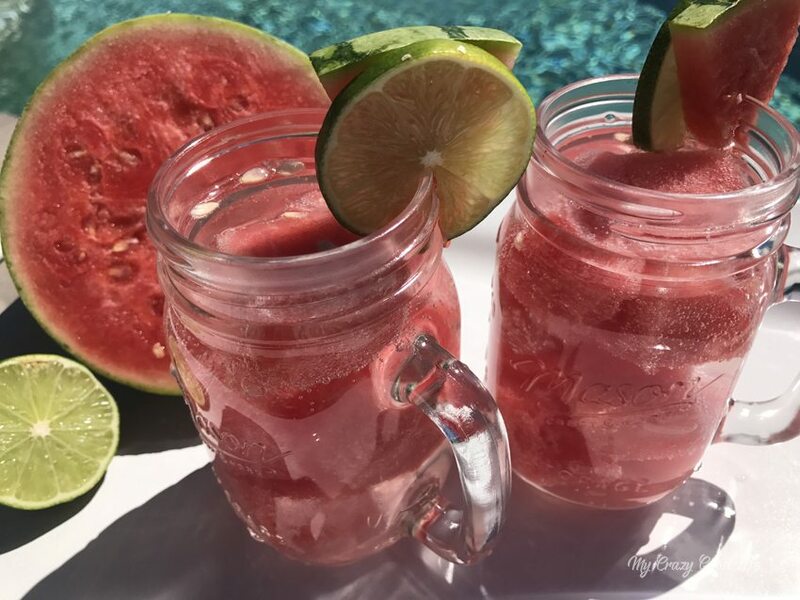 If you are looking for a great way to cut calories while still enjoying the margarita flavors you love, give this recipe a try. I think you’ll find the simple preparation and the perfectly delightful end results will be well worth it! Let’s dive into this fun recipe. It’s quick, easy, and perfect for company. 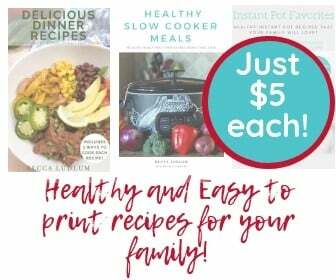 They’ll be blown away by the great taste and low calories and you’ll be thrilled that you have such a simple and delicious recipe on hand! Pour shot of tequila and lime juice over ice. 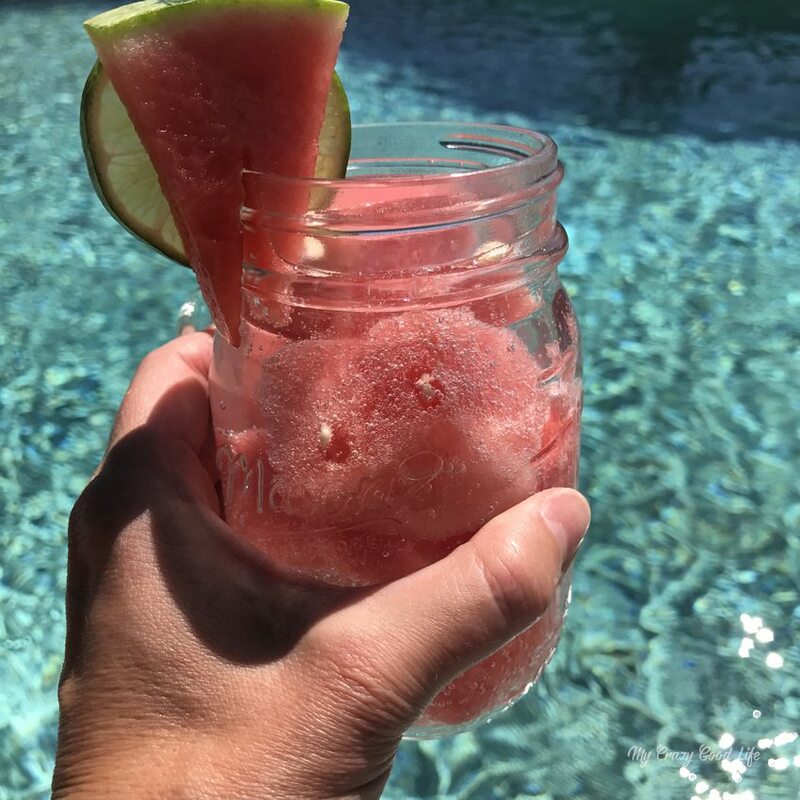 For a fun twist, fill your glass with frozen watermelon (or just regular watermelon chunks). Top of the glass with watermelon Perrier. 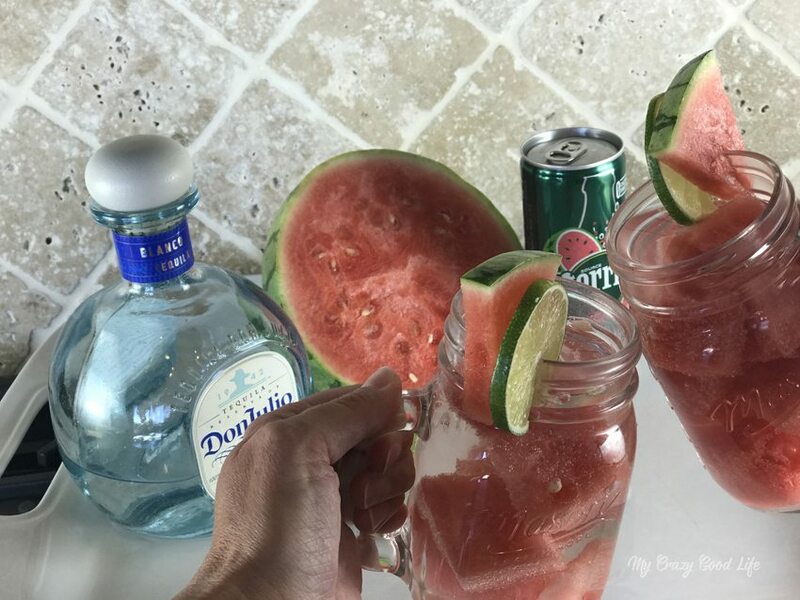 Use the slice of watermelon or lime for a garnish. 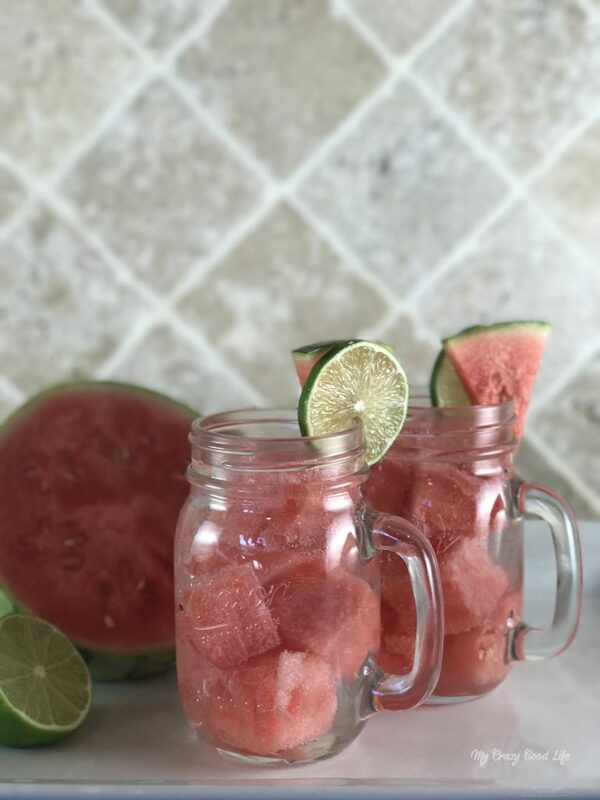 A 100 calorie watermelon margarita is crisp, refreshing, and easy to make. 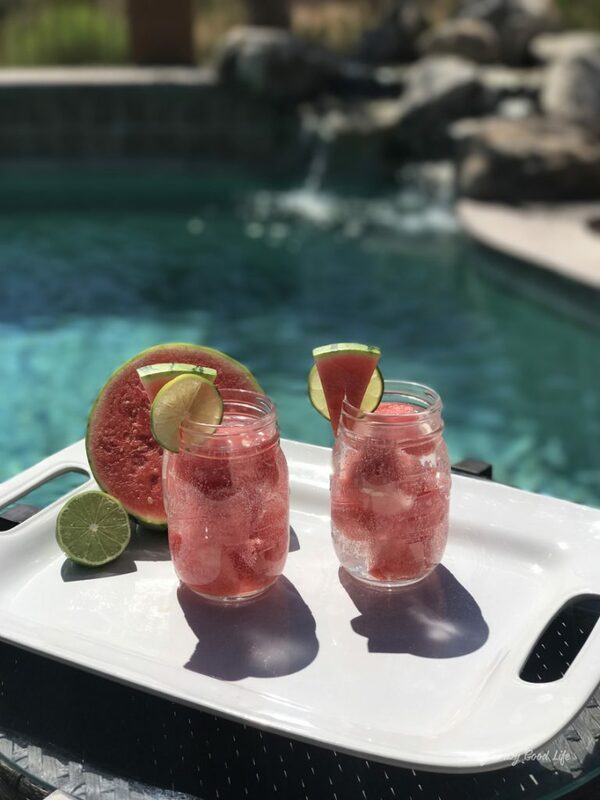 It's great after a long day, also perfect for those poolside afternoons and more! 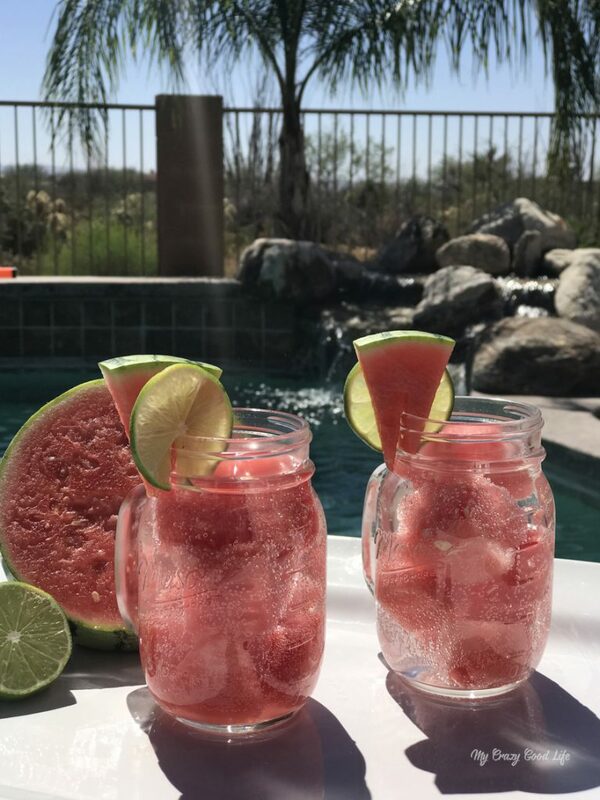 Looking for more great low cal cocktail recipes?